Björn Axelsson och André Knüppel, som båda examinerades från Executive MBA-programmet vid Handelshögskolan vid Göteborgs universitet i juni 2014, har utvecklat sitt uppsatsarbete och skrivit boken “How to be a winner in glocal management. The challenges of institutional duality.”. 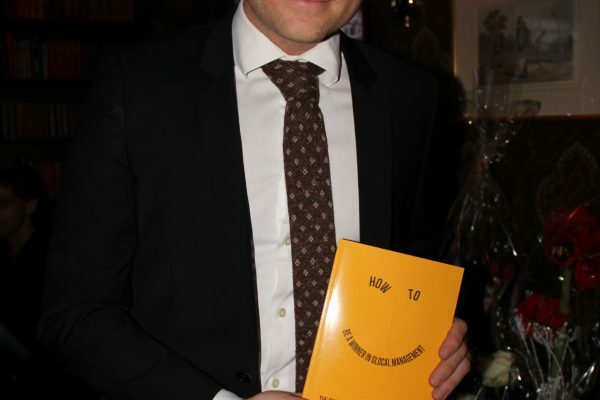 Björn Axelsson and André Knüppel, who both graduated in June 2014 from the Executive MBA programme at the School of Business, Economics and Law at the University of Gothenburg, have developed their thesis work into the book “How to be a winner in glocal management. The challenges of institutional duality”.